ALERT! 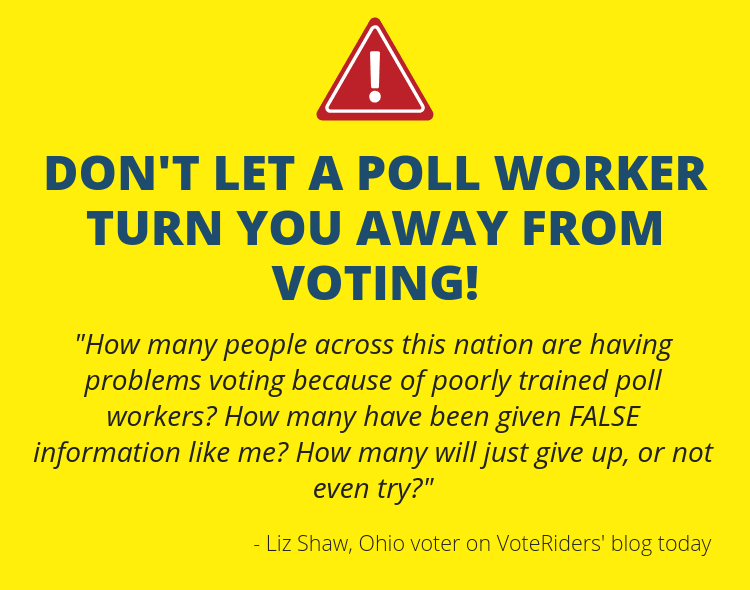 Don't let a misinformed poll worker stop you from voting! Ohio voter Liz Shaw went to vote early at the Meigs County Board of Elections and was prevented from voting because the elections clerk misinterpreted OH's voter ID law.